Opening: The sight of blood had a powerful effect on Emily Preston. It was merely a trickle of red oozing from a black woman’s finger, but it rocked the very foundation of her upbringing. Synopsis: After spending a year living with her abolitionist uncle in Detroit, Emily Preston is no longer a spoiled Southern belle, but a thoughtful 16-year-old whose views about slavery have been dramatically altered. 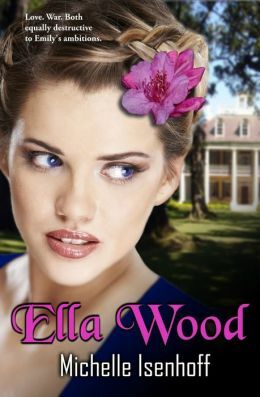 Her heart wants to believe that the slaves living at her beloved Ella Wood are treated well, but she sees signs that things are amiss. Emily has changed in many other ways. She’s really not interested in social parties, suitors and marriage proposals. Although she is drawn to some brief romantic encounters with suitors Thad and Jovie, she harbors a secret dream of attending university like her brother, Jack. This wish creates conflict between Emily and her traditional and controlling father. With the war looming between the North and South and her father’s involvement in politics, Emily’s independent spirit begins to take flight. 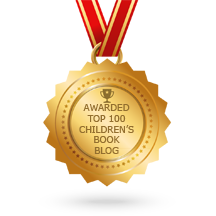 Michelle Isenhoff proves her skill as an outstanding literary author in her recent YA novel Ella Wood, a sequel to her MG novel, The Candle Star. Taking Emily’s story to a more mature level is an ambitious undertaking for Isenhoff, who is responding to her readers’ request to know more about Emily’s journey. Ella Wood is the first novel in this new trilogy. Ella Wood is bold and profound, and heartbreaking and breathtaking all at once. Highly researched, this captivating work of historical fiction offers a penetrating look into South Carolina’s role in the civil war, the elite plantation owners, the customs and culture, and the horrific treatment of slaves. 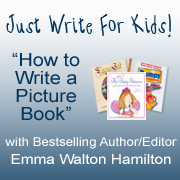 Readers will care about her distinct and memorable characters. Emily is strong-willed and determined to fight for what she believes, unlike her mother, a proper Southern lady who bows to her husband’s demands. Brother Jack has top grades at the university, but runs with the wrong crowd. Suitor Thad is dashing, exciting, and mysterious, while Jovie is a solid Southern gentleman and supports Emily’s ambitions. Emily’s loyal slave and friend, Lizzie, carries many sorrows and deep-seated secrets. Isenhoff’s plot is realistic, gripping and full of tension. Her deliberate pacing keeps readers fully engaged. I am completely invested in this book and enjoyed every moment I spent with Ella Wood. The ending is unexpected and feels a bit rushed for me. It left me with many questions. I look forward to the second book in the Ella Wood Trilogy, which will be published in 2016. I highly recommend Ella Wood! Michelle Isenhoff is the author of the The Candle Star, Blood of Pioneers and Beneath the Slashings (Divided Decade Collection); Song of the Mountain and Fire on the Mountain (Mountain Trilogy); Taylor Davis and the Flame of Findul, Taylor Davis and the Clash of Kingdoms; The Color of Freedom; and The Quill Pen. Visit Michelle Isenhoff at her website. Synopsis: Mazie is restless because it’s bedtime and she can’t go where she wants, have what she wants or do what she wants. Her father tells her about a big celebration she will attend the next day — Juneteenth. “We will celebrate the day your great-great-great-grandpa Mose, crossed into liberty.” Grandpa Mose works hard in the cotton fields along with many slaves in Galveston, Texas, until that joyful day in 1865, when word of their emancipation finally reaches the slaves. They celebrate and dance into the night. After freedom arrives, Grandpa Mose and many others continue to work and are paid, but equality is still a long way off. Mazie learns from her father that many African-Americans struggle to stand as equals with white people. Each generation carries that dream to improve their lives. Now it’s Mazie’s turn to celebrate who she is and to remember the accomplishments of her ancestors. 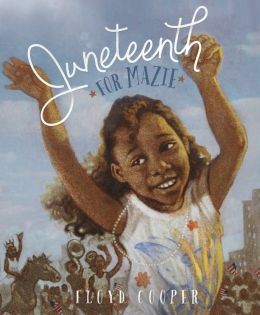 Floyd Cooper’s Juneteenth for Mazie beautifully illustrates and celebrates a memorable day in American history. 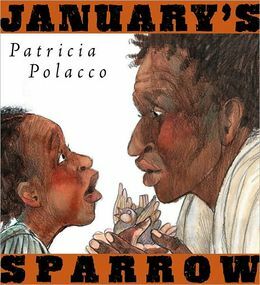 His picture book about June 19, or Juneteenth, will encourage a new generation of children to celebrate, ask questions and remember. 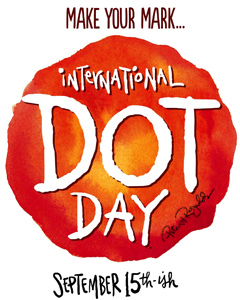 This year will mark the 150th anniversary of that auspicious day. 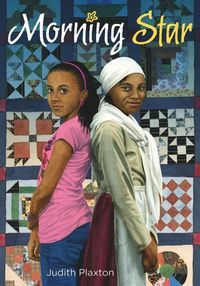 This is a lovely saga about Mazie, her family and their ancestral relationship to Juneteenth. 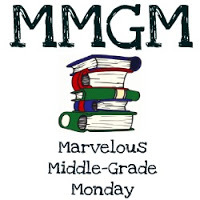 Her father narrates this touching story about Grandpa Mose who “worked in fields that stretched all the way to sunset.” He tells Mazie about her family legacy, the joy of freedom, the struggle for the right to vote, the desegregation of schools, of forgiveness, achievement and celebration. With June 19 approaching, this is a perfect book for teachers to integrate into their lesson plans. The text and writing style will encourage children to love history and want to know more about their own family histories. Cooper’s captivating oil illustrations are in shades of warm browns and yellows and give the book a nostalgic feel. The faces of each character captures the intensity of the struggle, the joy of freedom, the determination of future generations, and celebration of milestones made. Resources and Activities: Do you know your family history? Talk with your parents and grandparents and ask them questions about what they may know about your family history. 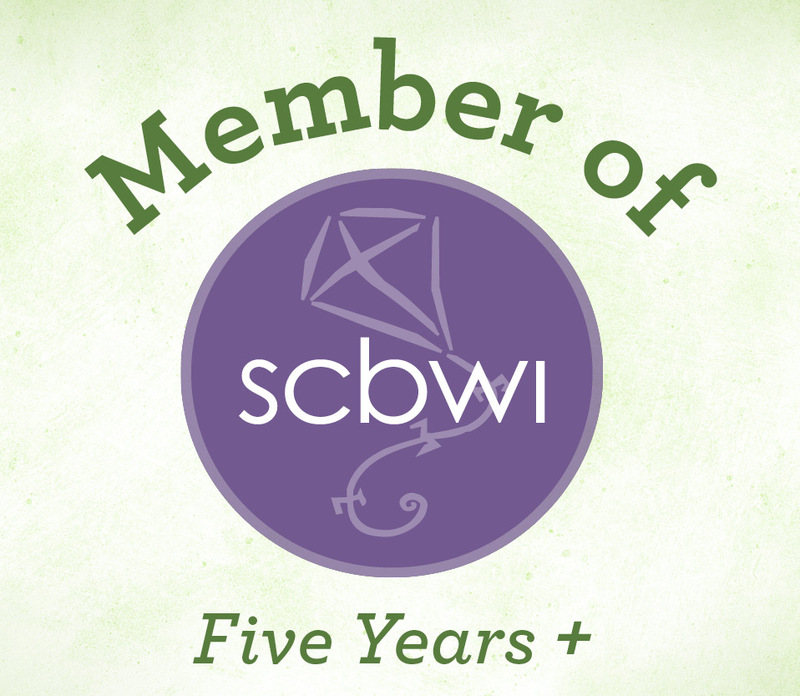 Record their stories or write information about your history in a journal. Browse through family photo albums. Ask your parents to help you draw your own family tree. Opening: Mumbet didn’t have a last name because she was a slave. She didn’t even have an official first name. Folks called her Bett or Betty. Children fondly called her Mom Bett of Mumbet. Others weren’t so kind. Book Jacket Synopsis: Everybody knows about the Founding Fathers and the Declaration of Independence in 1776. But the founders weren’t the only ones who believed that everyone had a right to freedom. Mumbet, a Massachusetts slave, believed it too. She longed to be free, but how? Would anyone help her in her fight for freedom? Could she win against her owner, the richest man in town? Mumbet was determined to try. 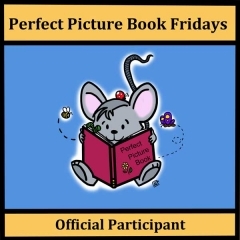 Gretchen Woelfle’s tells Mumbet’s compelling and true story for the first time in a picture book biography. While the book is considered nonfiction, it is fictionalized so that the reader experiences the hardships in 1780s. The author’s language is true to the time period, she creates the right amount of tension and her pacing of the story is perfect. The characters are realistically portrayed and well-developed. Mumbet is a smart, bold and determined character filled with hopes, dreams and ambitions for her life. Col. John Ashley is wealthy and owns the iron mine, a forge, a sawmill, a gristmill a general store and 3,000 acres of land with slaves. His wife is mean, abusive, strikes the slaves and calls Mumbet ” useless baggage, a stubborn wench and a dumb creature.” She didn’t break Mumbet’s spirit. Mumbet’s courageous actions to fight for freedom and equality and challenge the new Massachusetts Constitution in the courts, is a huge step in ending slavery in the United States. You can’t help but smile when you see Mumbet returning to the courthouse in 1781 to choose a name for herself, Elizabeth Freeman. Alix Delinois fills the pages with bold, colorful. evocative and detailed acrylic illustrations. 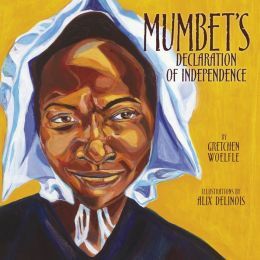 Resources: Mumbet’s story is an excellent read for Women’s History Month. The book is a resource which will spark many discussions. There is a wonderful “Author’s Note” at the end with a lot of information to use in the classroom, a picture of Mumbet and suggested reading materials. Check out the Mumbet website with the transcript of the trial as well as photos. 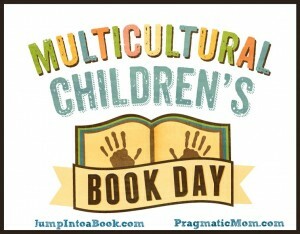 Visit the author Gretchen Woelfle at her website. Synopsis: President George Washington needs a new house. It took both skilled and unskilled free men and slaves working together to dig, break, chisel and transport stone to lay the foundation for the president’s home. Even children worked with clay, sand and water to make the bricks. Hands are an important theme in the story because machinery didn’t exist. The laborers worked 12-hour days which was hard on their hands bodies. 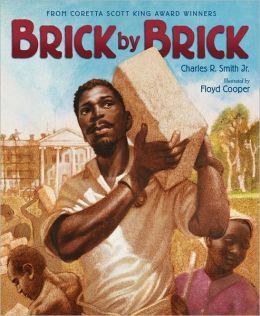 The title of the book Brick by Brick highlights how the White House was built by hands. “Slave hands saw twelve hours a day,/ but slave owners take slave hands’ pay./ Slave hands bleed under a hot, hazy sun,/ slave hands toil until each day is done”. Although the conditions were horrible, many slaves were learning skills and trades brick by brick that eventually yields shillings that buy freedom for their families. And, they play and important part building the history of their country. Floyd Cooper’s illustration evoke emotions of exhaustion, anger and pride. His illustrations are in soft brown and yellow colors that show uniformity and match the mood of the era. Great teamwork between Smith and Cooper who are both former Coretta Scott King Award winners. Resources: The author includes a page at the end of the book about why slaves were used to build the White House, which was later burned by the British on Aug. 24, 1814. Smith also includes resources for further study. A good classroom activity would be to write a story about one of the many characters in his illustrations. The facial expressions are so lively they speak to you. Visit Charles R. Smith Jr. at his website.